The battles of Mărăști, Mărăşeşti and Oituz in the summer of 1917 had a significant impact on the forces fighting on this front and not only. If the battle of Mărășești was “the first real victory of the modern Romanian army” as the Romanian general Alexandru Averescu described it, the battle of Mărășești was the most significant victory of this army in the First World War. 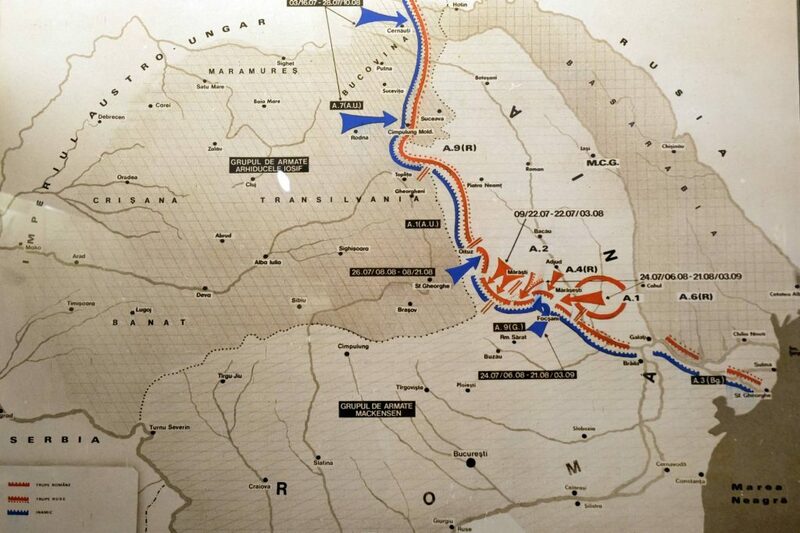 Even though it was the smallest battle of the three, the Battle of Oituz had the great merit of defending Romanian troops from an attack on the flanks, an attack that would have destabilized and compromised the front. For the German and Austro-Hungarian command, the battles of Mărășești and Oituz were a great disappointment. The troops of the Central Powers managed to advance but they failed to break Romanian resistance and knock the country out of the war. The German and Austro-Hungarian offensives at Mărășești and Oituz were launched with great expectations. Ludendorff stated that “the occupation of all of Romania is imminent”. Negotiations were already underway to partition what was left of unoccupied from Romania between the Austrians and Germans. Mackensen was particularly optimistic, saluting his subordinates after an operative meeting with the following: “I’ll see you in two weeks, in Iași!”. Even if these offensives had limited tactical success, they were a failure from a strategic point of view. The objectives of the Central Powers have not been met because of the unexpected resistance put up by the Romanian troops and by a part of the Russian troops. The German and Austrian commanders anticipated that they would encounter either Russian divisions lacking the will to fight due to Bolshevik propaganda or poorly trained Romanian troops. The reality in the field was totally different. Some of the Russian units fought much harder then what the Germans were expecting, and the Romanian divisions that were reorganized and rearmed, with disciplined soldiers determined to defend their country, fought valiantly. The underestimation of the capabilities and the desire to fight of the Russo-Romanian forces led the German and Austro-Hungarian commanders to carry out operations without adequate reserves. Withstanding the initial shock, the Russo-Romanian forces managed to withdraw in orderly manner on successive lines of defence, which required repeated violent assaults. Even though the offensives at both Mărășești and Oituz were meant to be complementary, on the ground they had little influence on each other. 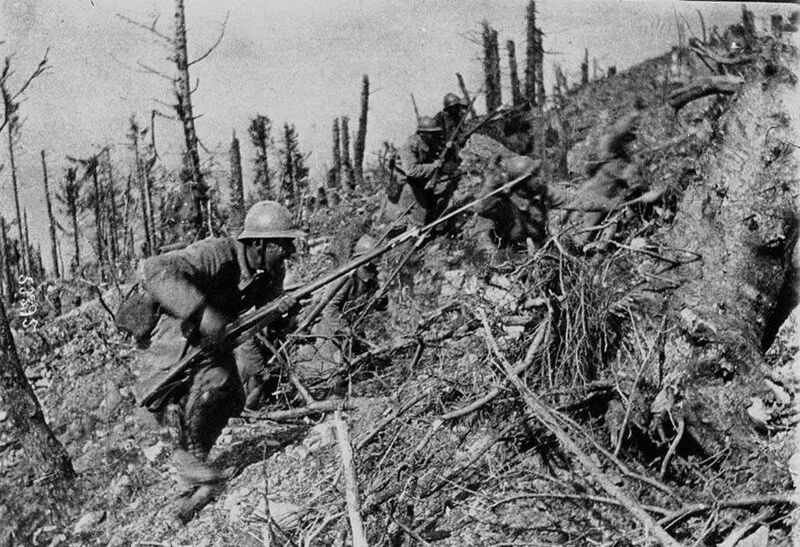 With all the effort and all the troops moved to the Romanian Front, including the Alpine Corps, the Central Powers did not succeed in knocking Romania out of the war. Moreover, the Central Powers denied access to the granaries in Ukraine, but also couldn’t move much needed troops to other fronts. By diverting and engaging additional enemy troops in the summer of 1917, Romania helped by relieving its allies fighting on the Western Front and the Italian Front. In that year, the Romanian Front was also one of the Entente’s few bright episodes. The battles on the Romanian Front in the summer of 1917 had important consequences for the Great Powers, but they were a small chapter in the epic of the Great War. For the Romanians, however, these battles were a defining moment for their nation’s existence. A victory of the Central Powers would have forced the government and the Romanian army to capitulate or withdraw into the territory of revolutionary Russia. The political and military consequences of which would have been disastrous in both cases. Historian Glenn E. Torrey believes that “the admirable conduct of the Romanian army played a crucial role in convincing the Entente to respect the promises it made by the 1916 treaty. Proving its weakness in 1916, the Allies were thinking seriously not to support Romania’s war goals. Another defeat could have settled the matter. As it turned out, the victories and heroism displayed on the 1917 battlefield helped Romania in regaining the respect and credibility of the Entente. […] The renown gained by its army was decisive for the important role it was given by the Allies in the institution of the sanitary cordon against Bolshevism and the French alliance system in Eastern Europe”. I.G. Duca, Memories [Memories], vol. I, Expres Publishing House, Bucharest, 1992.